What is culture and why is it so important? Many people assume that a culture is just outward behavior, different customs, language, different foods, traditions, dress, ways of doing things. But these behaviors are the surface level of a culture. The deeper parts of culture are the values and beliefs that underlies the behaviors, and the deepest aspect of cutlure is the worldview, that informs beliefs, which results in values, which then results in external behaviors and customs. 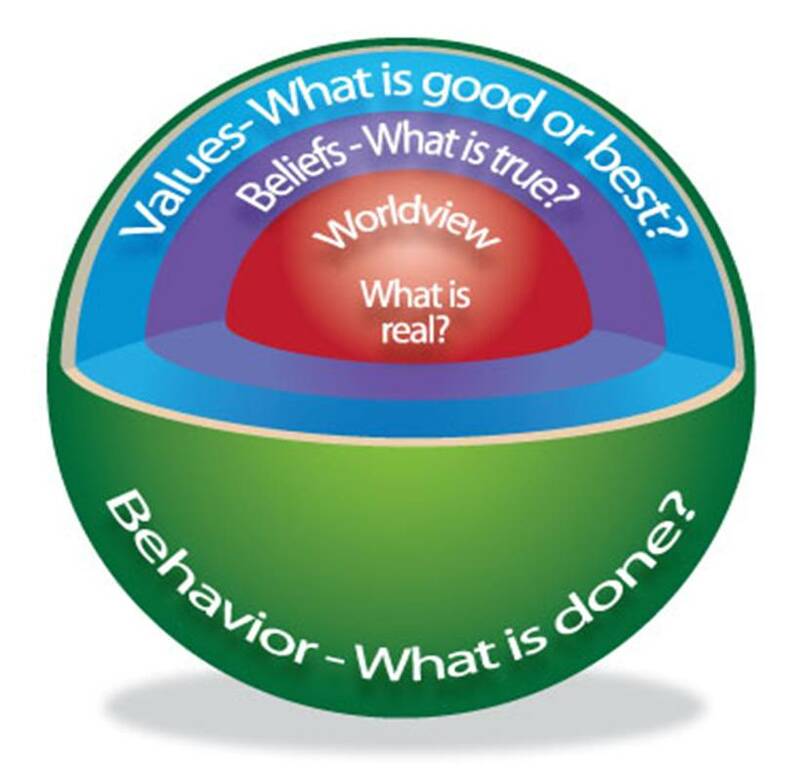 Worldview: Deepest part of culture; assumptions; philosophy, religion; the deepest assumptions about reality and life; the ultimate questions of life and death, God, meaning, heaven and hell, right and wrong. In order to share the gospel in another cutlure, one has to understand their worldview and beliefs and how the gospel of Jesus Christ confronts that worldview and beliefs. Why important? Because without understanding their worldview and culture – where the people we are trying to reach are coming from, we won’t be able to understand them completely and why they respond to the gospel the way they do, and we won’t be able to communicate the gospel very well to them. Repentance and Faith in Christ begin at the worldview level; and then work outwardly to effect beliefs, values, and behaviors. So, one can see how important it is to understand the world view and culture that one is going to in order to effectively communicate the need for repentance and faith and the truths of the gospel. Observing behavior is the most superficial part of culture. We need to go deeper into values, believes and world view in order to reach out effectively with the gospel. The Diagram below is from Lloyd Kwast, “Understanding Culture” in Perspectives on the World Christian Movement, pp. 397-399 and John King’s blog. John King wrote exactly what I wanted to write. I have taught the Perspectives course every year since 1985, except for the 3 years I lived oversees in Turkey; and I was able to find John King’s blog without having to struggle to reproduce the diagrams by myself. The ultimate answers to these “What is real?” questions are found in the Creation to Christ stories of the Bible. Each person was created in God’s image. As Paul notes in Athens, “The God who made the world and everything in it…made every nation of men….Therefore since we are God’s offspring, we should not think that the divine being is like gold or silver or stone—an image made by man’s design and skill. In the past God overlooked such ignorance, but now he commands all people everywhere to repent. For he has set a day when he will judge the world with justice by the man he has appointed. He has given proof of this to all men by raising him from the dead” (Acts 17:24-31).